Creating a campaign can be frustrating if you’re worried that a lack of design skills is preventing you from getting the results you want. Fortunately, you don’t have to be a designer to create killer emails. 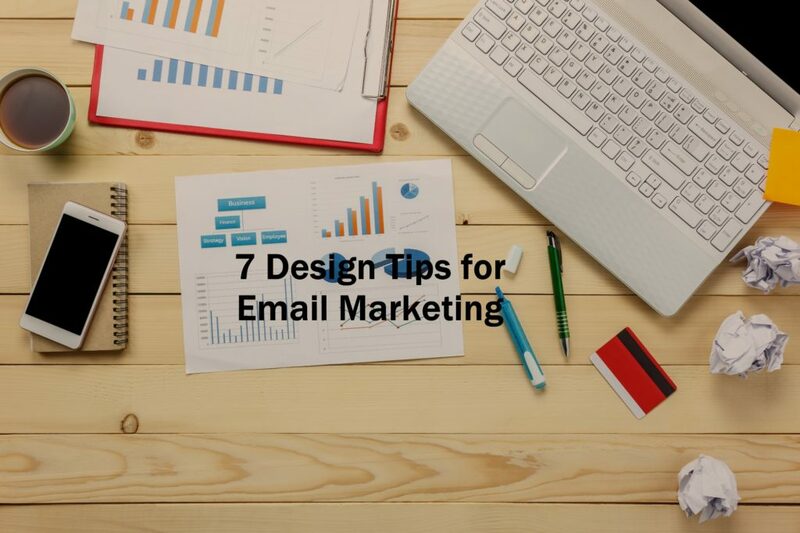 Let’s take a look at 7 tips to help you create emails that look great and earn your business more revenue online. Photos are a great way to grab readers’ attention and break up blocks of text in your emails. Stock photos are fine to use, but you can take your emails to the next level by adding custom photos or screenshots that back up your message. You can even use photos to highlight articles on your website and give readers an idea of what they can expect to find on your site. When choosing colors for your emails, it’s important to think about your branding. If your company’s signature colors are blue and green, for example, you should incorporate those hues in your emails. This is a great way to promote consistent branding, and it can help readers recognize your company. It’s also important to remember that colors can be emotive, and certain colors can trigger specific feelings. So you can use color to emphasize specific points in your emails. As a rule of thumb, stick with a max of two fonts in your emails— one for headlines and subtitles and another for body copy. This will give your emails a crisp finish and prevent them from looking confusing or overwhelming. Standard fonts like Arial, Times New Roman, Tahoma, Verdana, Courier, and Georgia are great for readability. While you can experiment with other fonts, it’s important to remember that your recipients’ computers may not support lesser-used options. Adding videos in your emails can increase click-through rates by 50%! If your company already creates video, you may haves some on hand that correspond to your email topics. And if not, videos are fairly easy to create with minimal equipment and resources. Adding videos in your emails is a great way to engage readers and provide them with important information about your products and services. By the time people finish reading your emails, they should know what you want them to do next. Do you want readers to visit your website? Subscribe to your blog? Contact you for more information? Let them know! Calls to action serve as maps that direct readers to take action. And including them in your emails can help you get the greatest possible ROI from your campaigns. Many people access their email on the go, and they may not have time to fully read your emails. This means that you need to make your emails scannable so readers can easily pick up on the most important tidbits. Using headers and bullet points can help emphasize key information and guide readers through your emails. You’ll also want to keep your paragraphs short so people don’t get stuck reading large blocks of text. Finally, you’ll want to make sure that your email designs look great on mobile devices. This is extremely important since more than half of emails are opened on mobile devices. Sometimes, designs that look great on desktop end up appearing squished and sloppy on mobile devices. Email marketing platforms let you preview your designs on both desktop and mobile devices, so you can be sure that your emails look great best no matter what recipients use to view them.